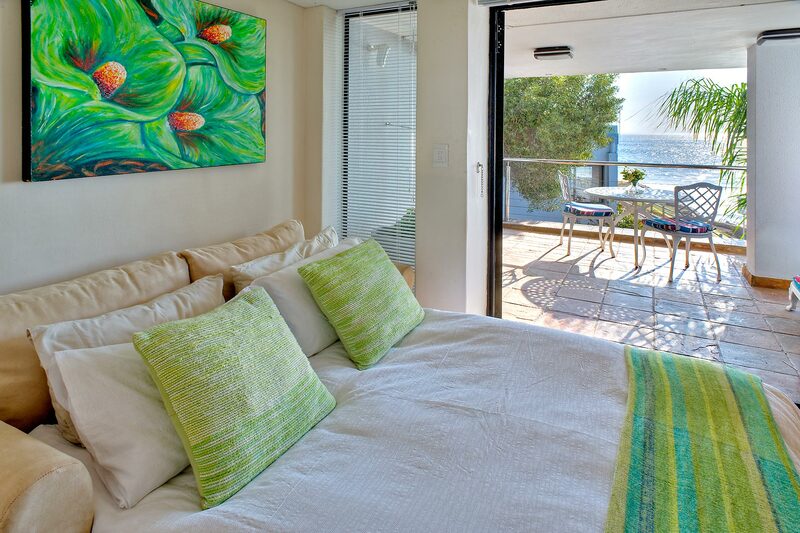 This luxury Gordon’s Bay self-catering accommodation has fabulous ocean views, even from bed, but especially from the ‘yacht deck’ balcony over the waves. 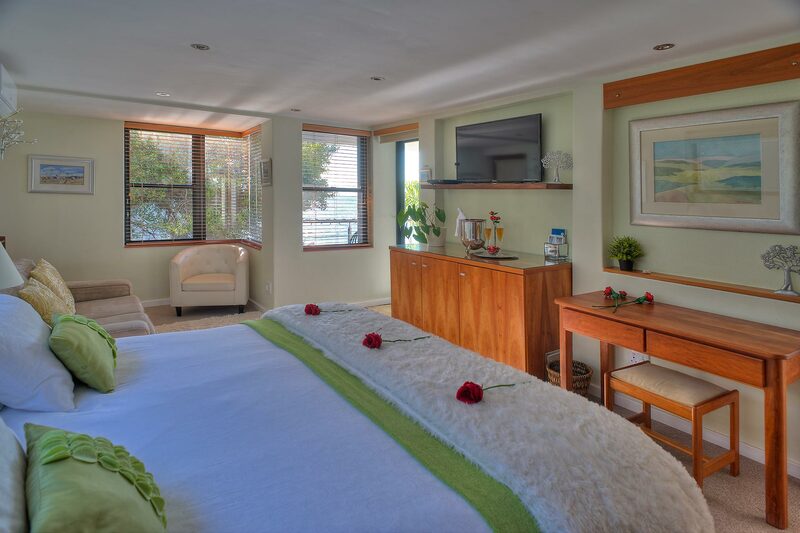 It is ideal for a relaxing holiday, a romantic celebrating or a special occasion, while the Bed and Breakfast option is ideal for the business traveler. 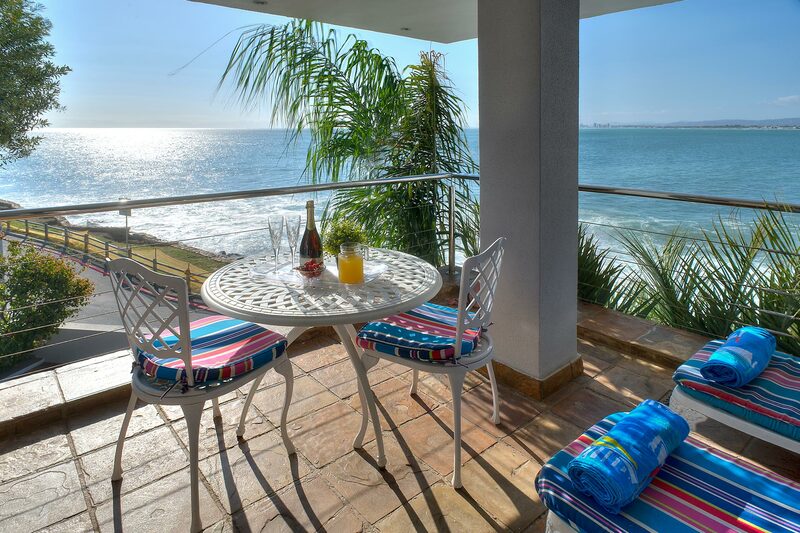 By day, on the covered balcony enjoy a barbecue, laze with on the loungers or dine as you watch waves or the sun set behind the Table mountain range across the sea. At night sleep with the door open and watch the moonlight on the ocean stretch to the lights across the bay and hear only the sound of the waves! The furnishing is luxurious cherry-wood with a lounge area in the bedroom and a small desk to do your own ‘surfing’ with the free Wifi. The luxurious bathroom with a spa bath and large modern shower is a favorite – great with bubbles and sparkling wine or grape juice. With French doors to the balcony and also a sea view, the small separate lounge has kitchenette and a sleeper couch – ideal for family as they need to access the bathroom through the main bedroom. This is ideal for those who desire private luxurious self-catering or B&B accommodation with a sea view. Equipment: Air conditioning & under-carpet heating; electric blanket, hairdryer; safe; iron and ironing board. Catering: Facilities for preparing light meals and barbecue. Barbecue: Gas barbecue on granite. Balcony: Watch waves. Dine & enjoy loungers. Shaded. 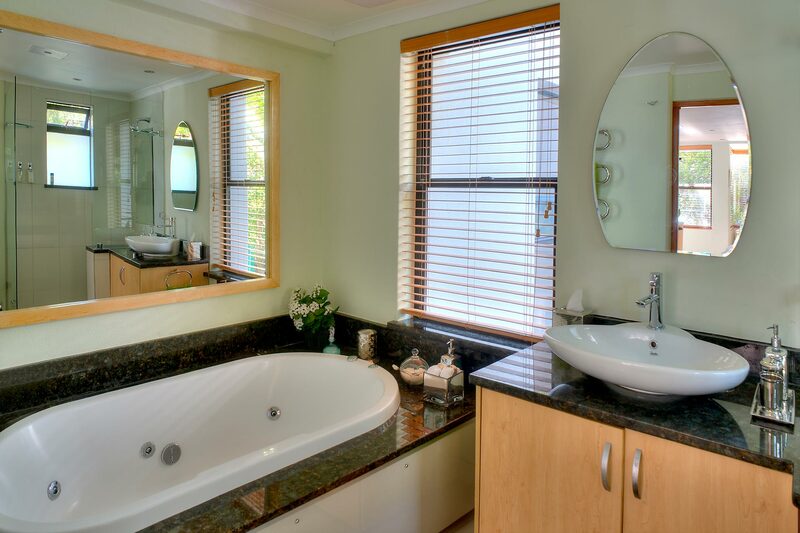 Bathroom: Spa bath, modern shower with seat, porcelain tiles & granite, heated towel rail. Access: Private entrance via spiral stairs or via gentle stairs to 1st floor from reception.